The name comes from the founder of the company S R Baston who began producing motorcycles at Penge in 1902, mainly for the sports market. 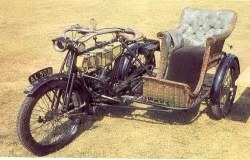 Baston soon sold out to the Tessier family which merged with aircraft makers Martinsyde in 1920. 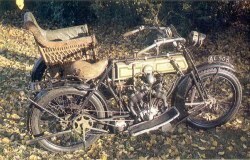 Production ceased in 1924. More BAT classic bike information. 1913 BAT 5hp JAP engine.